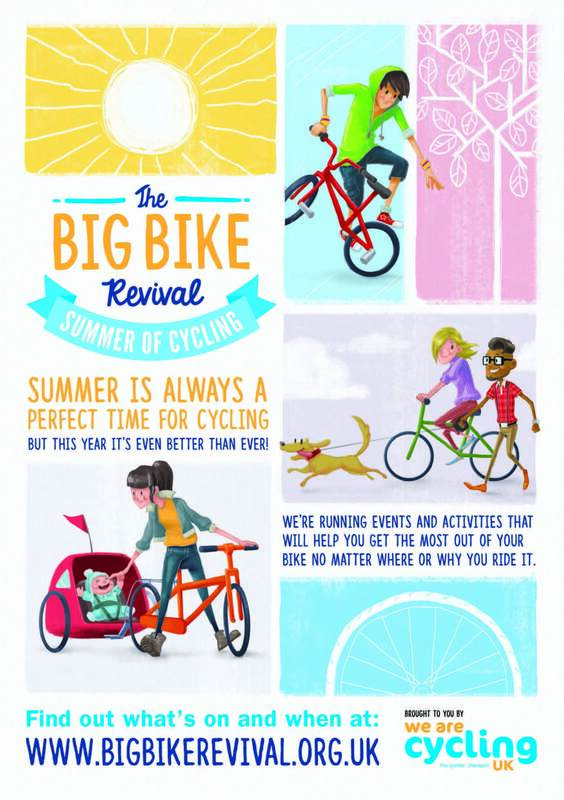 Leeds Bike Mill are holding a weekend of activities at the Pedallers’ Arms workshop as part of Cycling UK’s Big Bike Revival 2016. We’ll be open 10am to 4pm on Saturday 23rd July and Sunday 24th July for bike repairs, 2nd hand bike sales, refreshments, spin art and general cycling chat and advice on all things cycling in Leeds! Plus we’ll have a tombola with the chance to win a multi-tool or USB rechargeable lights if you complete a survey. All completed surveys will be returned to Cycling UK and you will be entered into a prize draw for £250 of vouchers. Get help repairing and maintaining your bike in the well-equipped Pedallers’ Arms workshop. There will be mechanics on hand who will work with you to identify what needs to be done and to help you do it yourself. We’ve got a limited amount of things like brake pads, cables and chains available for free to help reduce the cost. We will have a range of refurbished second hand bikes for sale priced from £65 upwards. These have all been serviced by a qualified Leeds Bike Mill mechanic. Most of the bikes can be seen on our website at https://leedsbikemill.org/bikes-for-sale/ or if you are looking for something in particular please contact us and we will see whether we have anything suitable waiting to be fixed up. Hot and cold drinks, cake and snacks will be available. Get messy with paint (overalls can be provided!) and make your own pedal-powered art work. Previous Article May and June Sales Days! Next Article September & October Sales days!